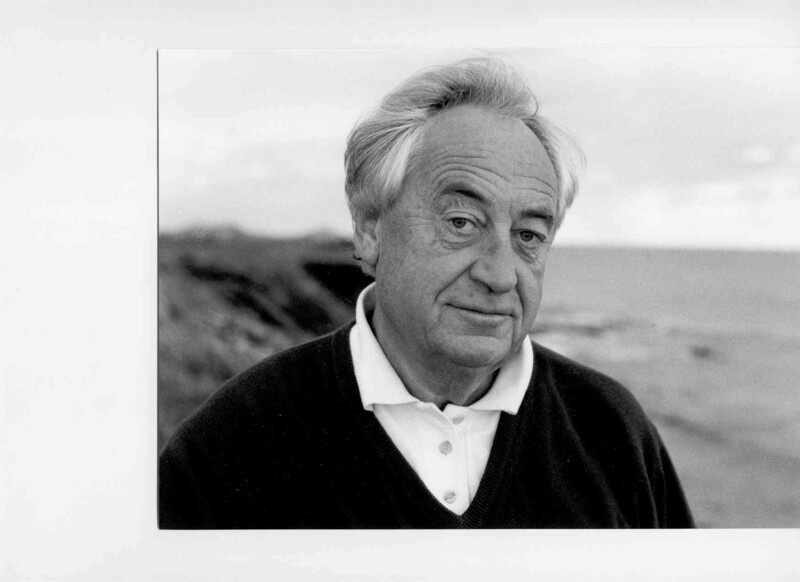 This is Cees latest collection to be translated in to English ,Cees Nooteboom is a dutch writer ,he has written numerous books fiction and non fiction .He has won numerous awards and I was lucky enough to interview him yesterday on the blog . Now this collection is a theme collection of short stories ,the themes are ,memories ,death looking back at life’s lost moments ,lost loves .As you can tell this is Cees looking back on life ,when I first heard of this collection and read the synopsis of the book the book that sprung to mind was Kazuo Ishiguro nocturnes came to mind even more so when the first story was called Gondolas ,but this is so much better the stories all stand alone and don’t feel as thou they been worked at to fit a theme as a couple of the nocturnes stories did.These stories are touching and thoughtful works ,a man who thinks of a past love Paula then the story is flipped as she sense he remembering her this is drifting story of dreams memories and love ,we drift through the Mediterranean through ex pats ,these stories are meditations on lives lived and lovers lost ,Cees is a craftsman at his writing and Ina Rilke the translator who managed to keep the wonderful poetic feel to these stories ,I don’t want give away too much as I think you need to read these to appreciate them .Memories and old age which is what this book is really about is something that I love having worked at the beginning of my vocation with older people and done some work on memories involving a play worked from the collected memories of the people I looked after ,this book gave me that feel it wasn’t Cees life more a collection of people stories and experiences thrown together and blended by Cees to these small gems and flashes into people’s lives .Lizzie Siddal said she felt uncomfortable with the looking back feel of the book ,I didn’t but working with people and experiencing death a number of times I was touched by them . from the opening story Gondolas . Another thing unbook related that this collection reminded me of was the work of the late Johnny cash his American collection of albums which rung with his life and people he’d known like this collection ,these two artists in later years both looking back ,but still making wonderful art ,like Cash’s work which I love, Nooteboom seems to have got better with age here is a writer that knows his craft and how to use it without feeling like he is going oh yes I m Cees Nooteboom ,like you get with some of his contemporaries in english do from time to time .The collection is 150 pages long and I read it on the train to London which wa perfect as on a rainy day I was transported to Spain , Italy and other places .So I d say this book is a perfect wet Sunday afternoon read ,it is one that will stick with you for a long time after you put the book down . I ve been lucky enough to Ask The best Known Living Dutch writer Cees Nooteboom ,the prize winning writer is often mentioned as a Nobel prize winner for his body of Work so to tie in with his newest collection of stories being released in English and Iris of Iris on book Dutch literature month some questions About his books and Translation-. You are a travel writer ,art critic ,poet and literary writer – of these which is closest to your heart ? The combination. My prose would not be the way it is without my interest, both as a writer and a reader, in poetry. Poetry goes to the heart of things, finds new ways for words, forces one to be precise,and at the same time implies an enormous freedom of thought and expression. How do you manage to find the time to write so prolifically ? Time is always there, it depends what you want to do with it. Couperus, who was more prolific than I am, always claimed that he was lazy. In this latest collection of stories to be translated into English ,which came first The theme or The stories ? The theme belongs to my age. Friends separate, colleague’s die, people disappear in all kinds of ways, and one finds time to reflect on all that, which belongs the work of memory. 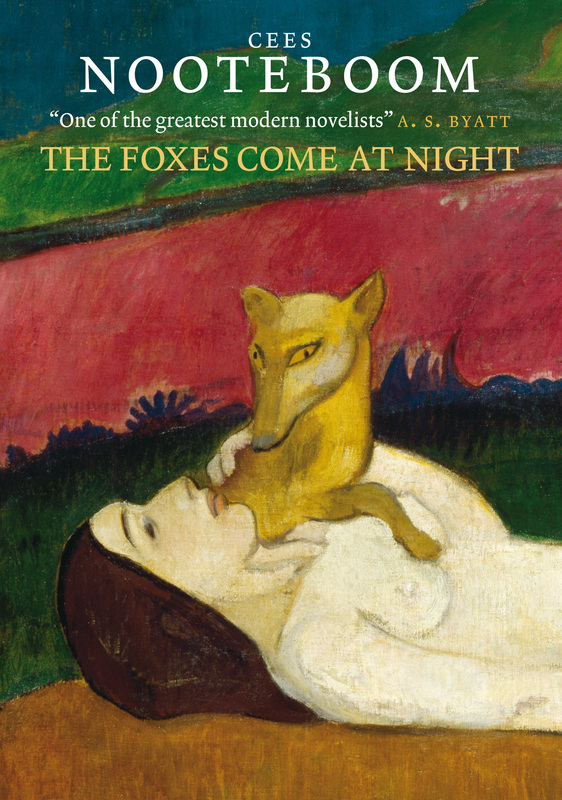 In the Foxes Come at Night how much of your own life has been invested into the stories ? This question was often asked of Marcel Proust. 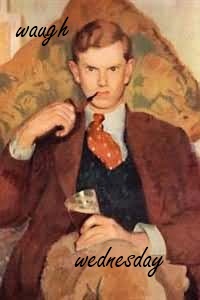 After all, the protagonist of his 4000 page book was called Marcel, like the author, and many people wanted to recognize themselves and others in his book. But he was adamant and said it was all fiction, including the author in the book with whom he shared a first name. He was right, if only for the simple fact that Proust is dead, and the other Marcel is still very much alive in all these pages. How closely do you work with your translators ? Very close, especcially when they need me. How important are champions of literature in translation such as publishers lik MacLehose Press ? They are the salt of literary life, a last bulwark against the ever increasing commercialism of the international booktrade. 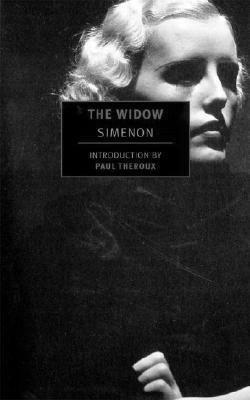 I’m doing this as part of Iris on books Dutch Literature month – What is special about Dutch literature for the readers that may not have been introduced to it before ? The Dutch are a rather special tribe, like the english, but smaller. On the other hand,Holland is not an island. It has taken the world a long time to recognize that there are some interesting writers out there, like Hermans, Mulisch, Claus, Mortier, van Dis, Grunberg, and many others. And of course it does not help that we know much more about English writers than English readers know about dutch literature. A small language can be a prison. Translation is liberation. Why do you think the English sometimes do not understand Dutch literature ? For the reason I have just indicated. Dutch literature may be an acquired taste, we are a metropolitan country, very densely populated, forced by size, inclination and the necessity of trade to be international, though lately rather inward looking. 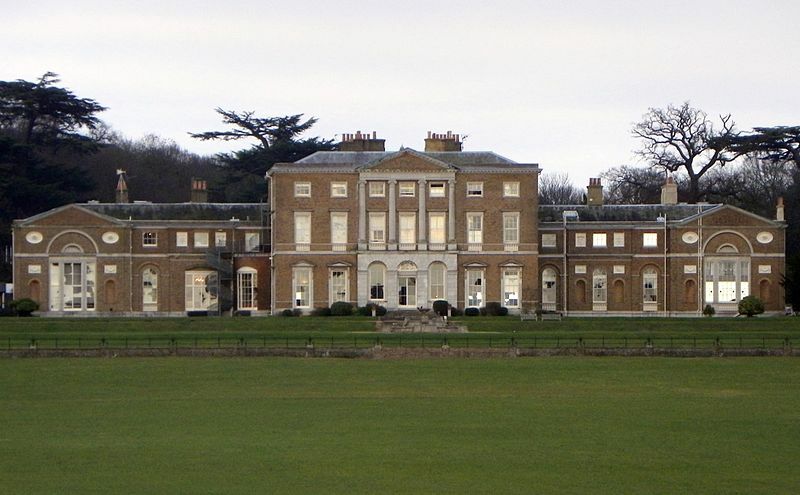 There is not enough land to serve as a counterweight to the cities. That makes for a rather special society. The language is spoken by 21 milion sometimes conceited citizens, with opinions about practically everything, in an eternal dialogue with each other. Do you have a favourite book (If yes please name it )? Remembrace of Things past, by Marcel Proust. Ala Recherchedu Temps Perdu. Which of your own books stands out for you ? The Knight has died ( De Ridder is gestorven, 1963), which has not been published in theUK. It is maybe not my best book , but it was very important in my writing life, since in it I understood for the first time what writing really was about. It was published in english long ago byLouisianaStateUniversityPress, and as I noticed recently inAustraliaandIndia, some of my fans have been able to find it in the ever expanding labyrinth of the internet where nothing is ever lost. Cees new collection is out now by Maclehose press ,my review will follow shortly ,Many thanks to Nicci at Maclehose who help me get chance to ask Cees these questions . Parrish Lantern – is busy reading the post war Japanese potery collection for Jlc 5 ,the challenge to read Japanese literature hosted by Dolce Belleza ,the collection is translated by Harry and Lynne guset ,Have keep eye out for a review from Parrish . Expatina said you should read the wonderful german writer Daniel Kehlmann his last novel was fame . Kinna from Kinna reads ,is looking forward to a new Peter Nadas novel soon to be in english and his older book the book of Memories a book in the form of three narratives complex but very worth reading from the Hungarian writer . 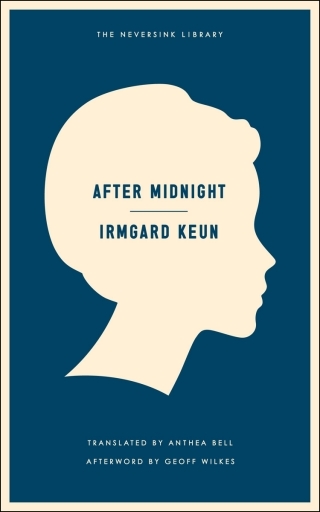 Jen and the Pen suggested After midnight by Imgard Keun a Anthea bell translation ,the pre war classic by this German writer that caught the interwar years in Germany ,her books were banned by the Nazis and she had to live in exile during the war . 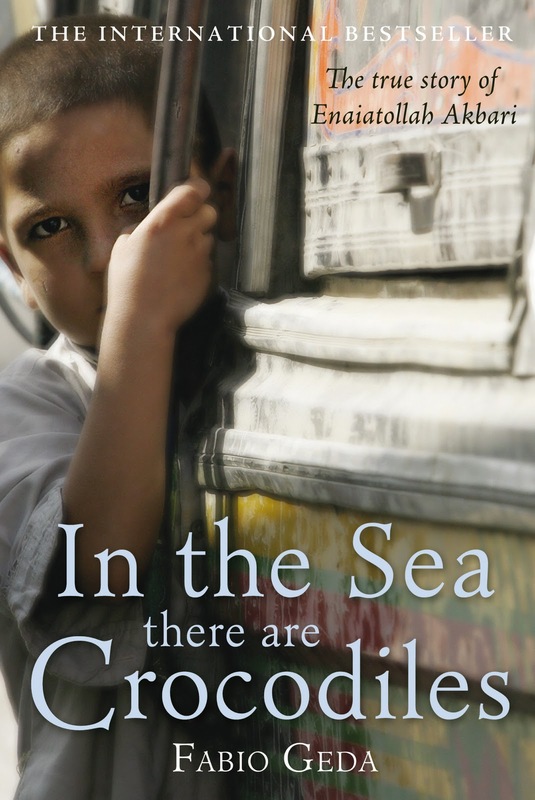 Rebecca books who works for Harvil secker has set a face book page or the novel in the sea there are crocodiles ,a true story of a boys five-year Journey from Afghanistan to Italy where he found safety at last a ,heart warm tale of freedom it seems . Last Tony from Tony’s reading list is reading F C Delius a portrait of a young women in the original german the 130 page sentence look forward to his review see what he thought I loved Jamie Baluch translation . 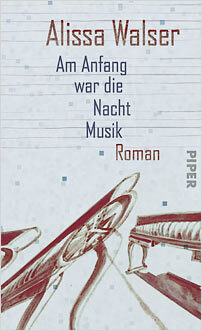 Jamie Baluch tweeted he is translating Alissa Wasler ‘s Am anfang war die nacht musik , in the beginning was the night of music roughly ,it is about a relationship breaking up in 18th century Vienna ,not sure who is publishing it . 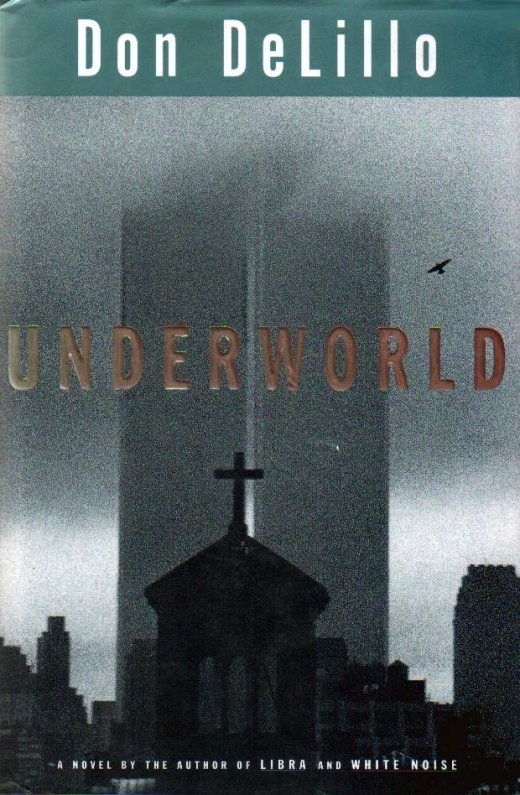 Roberto Bolano the late Chilean writer,wrote this book in1993 and it was his first novel published and was translated into english in 2009 by Chris Andrews . 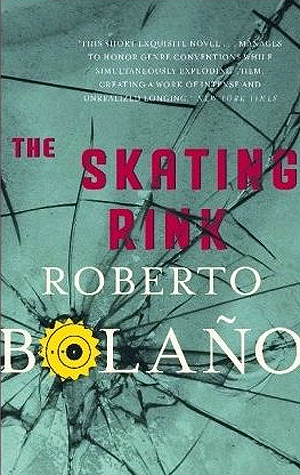 The book is a book about a murder ,a short of detective book with out a detective ,like his other books Bolano has chosen to use different narrators to tell the story ,it is set in the costa brava region of Spain in the small town of Z .A skater is dropped from the olympic team ,a rich man builds her a rink in an abadoned house using stolen funds from local council .all the three narrators have contact with Nuria ,Remo ,a poet turned novelist (maybe a veiled cover of Bolano himself ),Gaspar another poet turned night watchman ,Eneric overweight public official in social services section, these three men give statements in turn to the detective looking into the murder .there is a lot of finger point during this . Enric Rosquelles talking about a night out . Translators – Rose-Myriam Rejouis and Val Vinokurov . Patrick Chamoiseau is a Martinique writer ,writes in french and creole he ,has previously won France’s top literary prize the Prix Goncourt for his novel Texaco .He is a leading figure in the Creolite movement ,a movement to explain the life of people in the french Caribbean .In france he is considered one of the most innovative writers in the post war period . The book is about the death of a story-teller of the title Solibo Magnificent dies during a carnival mid story under a tree ,this sets about a story of how he died .As the two police men a chief sergeant Phelemon Bouaffese and a chief inspector Evariste Pilon round-up the crowd that’s was stood listening to his tale when he dies mid word ,he seems to choke on a word .There is almost a fever around the police as they try to get the crowd one by one to tell them what had happened to Solibo .This leads to another death of the women that actually called the police in .The action flows with an oral storytelling style of writing everything has a beat that seems to be quickening as you turn the pages ,you are grasped by the foolish police and brutal police ,at times it is like an old police series from the uk in 70’s where there goading and threatening the witness ,but also the mentality that can come over people when a serious crime has been committed or seems to have as you are never sure if it was murder or if Solibo just died .as we hear the story from 13 people who where listening to Solibo as the time he died we find out what happened .the people interviewed come from all walks of life . At the end of the we hours,when Solibo Magnificent started giving off the heavy odor of deaths first fumes ,the company shook off its lethargy to figure the sun’s height in the sky :say dear god what time is it up there ? Where Doudou -Menar ? people got up ,stretched ,limped ,rubbing pins and needles from their legs .Some bent over Solibo ,now unrecognizable bloated by death . The opening of the second chapter . I found the creole a little hard to follow at times as the translator had noted they’d been kept ,but this is what Chamoiseau writing is all about the tradition of his homeland and keeping it alive ,also the creole /french clash is played out to comic effect in the book some times .SO wherever possible they had stuck to the creole Grammar and spellings .But it added to the feel of this book that has a strong feel of Martinique and french creole people and also how the more french character interacts with them .The story has a strong folkish tale feel to the book as at times it drifts from the realism of a crime to the dream world of the storyteller and how that effect the people listening to his story .I said with my recent review of Iron balloons which I read after this I wanted to read more Caribbean literature .That included French Caribbean literature this is my second book translated from french my first was Alphabet of the night by the Haitian writer Jean Euphele Milce .I will be reading more Chamoiseau he is a gripping writer with a clever use of Language ,I may also try some of the other writers from the Creolite movement he and some fellow writers started in the 80’s . Richard at solar bridge review this book a while ago . Have you read any Creole fiction ? 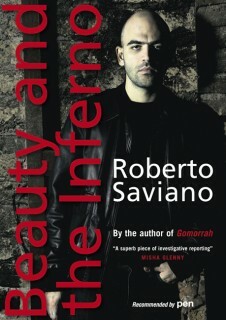 Now when I heard this was coming out I was excited I read Gomorrah his previous book about the Mafia ,and heard he had to go into permanent hiding due to the publication of that book in 2006 where he has 24 hour protection from the Italian government , he grew up in Naples he is a journalist and has written for a number of paper round the world like La repubblica and l’expresso .this collection of essays mostly come after he had to go into hiding . Twenty five years after the earthquake there will not be much left of the dead .And even less of the living . The next collection of essays are about Men ,he meets a wonderful collection of men ,the brittle bone suffering Jazz musician Michel Petrucciani’s where Saviano describes the life of this talented musician who overcame a very bad condition to bring music to people .Another story in this section that really grabbed me is the Messi essay all about the young Lionel Messi and how this wonderfully gifted footballer ended up at Barcelona as they saw him as a very young boy but with a growth problem ,so they funded treatment ,this was news to me and to a non football fan is a touching tale of a boys dreams coming true . Then we have two short sections one on business,one was about rubbish business in italy and the problems that have been caused by this being corruptly run .The next section is called war he talks about one of my favourite non fiction books Michael Herr’s dispatches a book that was used partly in two films apocalypse now and Full metal jacket ,I love that he likes this book as well Herr like Saviano is a writer that isn’t afraid of the truth and telling it like he did in dispatches (this lead to me deciding to reread dispatches and tie it in with Bao Ninh the sorrow of war shortly ).The final section is called north and is about mainly the nobel prize this includes Saviano meeting Salman Rushdie this is worth a read if you don’t read anything else in the book to see two men that have had to live in hiding because of what they wrote is touching . What are your favourite works of Non fiction ? 1 How did you get into translating? I’ve always been interested in languages, literature and different cultures. At school, I leaned strongly in that direction and I went on to study medieval and modern languages and literature at university. I’ve since lived in Germany and Italy and moved to the Netherlands in 2003. With that background, translation’s a very tempting career. It allows you to work with the languages you’ve studied, to maintain contact with the countries you’re interested in and, from a practical point of view, it’s the perfect portable career. You can translate anywhere you can use a laptop. 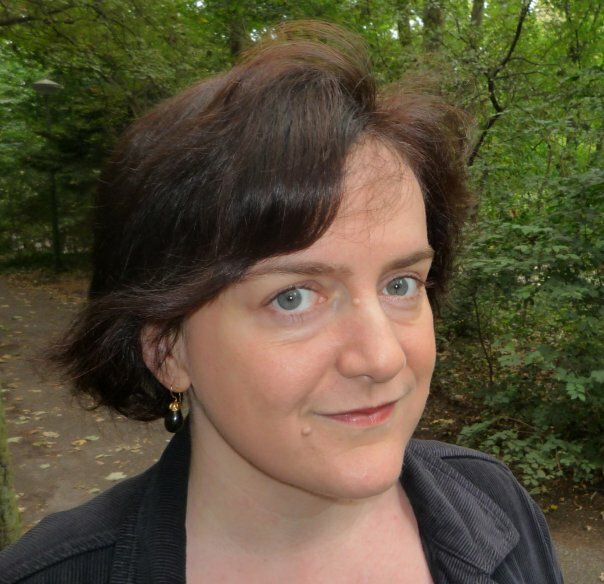 I’ve been translating since I left university, combined with other language-related jobs, but my first serious move towards a career in literary translation was in 2001, when I took the postgraduate certificate in literary translation from Dutch into English at University College London, a year-long introduction into the world of publishing and translating. That was a great foundation and gave me the confidence to approach publishers. The Dutch Foundation for Literature and the Expertisecentrum Literair Vertalen in Utrecht are also very helpful in providing training and networking opportunities for both new and experienced translators. 2 How long does the average translation take? This is an interesting question, but there’s really no such thing as an average translation. Something that looks straightforward can turn out to be tricky, while other pieces may seem to flow from your fingertips! I have heard 2000 words a day given as a rough guideline for literary translation, but I’m not quite sure how that was calculated. Of course, the process isn’t only about the actual translation. I’ve just checked my emails and see that my first communication with Peirene Press about Tomorrow Pamplona was way back in January 2010. First we mailed backwards and forwards and agreed to go ahead with the project together. Then I translated the book and took it through various drafts before sending it to the Peirene copy-editor. Meike from Peirene also read the following version and made some comments, which I reacted to. We discussed a few points and then the book went to a proof-reader and to Jan before I gave it a final check. So, from negotiation to publication, it’s been almost a year and a half for this book. 3 How much contact do you have with writers? That depends very much on the project. Jan was great to work with, as he made it clear that he was available for queries and then let me get on with it. Some authors like to be closely involved in the translation, while others aren’t that bothered. Translating from Dutch can be an interesting process though, as so many Dutch authors have excellent English. They often come up with really good suggestions and are generally happy to talk things through, while respecting your role as a translator and a native speaker of English. I’ve sometimes even collaborated with authors on translations of their work, which can be great fun. It’s good for the lonesome translator to get out there and talk to other people sometimes! 4 In Tomorrow Pamplona you manage to keep the maleness of Jan’s words. Was this hard? Thanks, Stu. That’s good to hear. 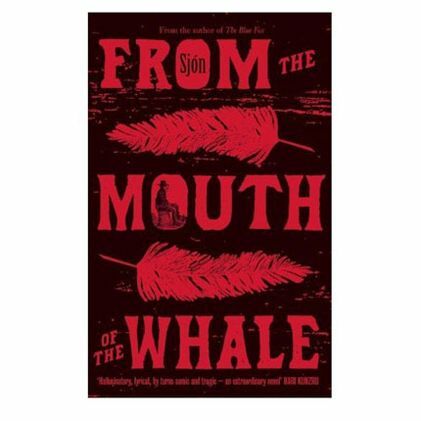 Jan has a very strong voice as an author and I knew that I needed to keep that force and bluntness in the language. Danny’s a boxer, after all, and he’s a real bloke, a man’s man. During the editing process, one of our debates was about the swearing in the book. We discussed toning it down a little, but I didn’t want Danny – or Robert – to mince their words, so the swearing stayed. Interestingly, although there are plenty of male literary translators, the German, French and English translations of Tomorrow Pamplona are all by women. I’m not sure that gender matters too much as long as you focus on the individual characters and the distinctive voice of the author. 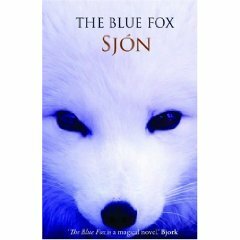 5 What is your favourite book you’ve translated? Seriously, this has been a great project to work on, not only because of the book, the author and the Peirene team, but also because there’s been so much involvement from the internet community of bloggers and tweeters. It’s great to have that thoughtful feedback and direct contact with readers. 6 Is there a book you would like to translate from Dutch? Hmm. Well, I’m currently translating Berlin by Cees Nooteboom for MacLehose Press, which is something of a dream project, as it combines one of my favourite Dutch writers, one of my favourite cities and a great publishing house. An author I’ve enjoyed working with in the past is Karlijn Stoffels. I translated her young adult novel Heartsinger for Arthur A. Levine at Scholastic. She has a fantastic, dry wit and writes with a beautifully lyrical touch. She’s recently written a novel for adults, Zuiderzeeballade, and that’s one title I’d be very interested in working on. Other than that, there’s a classic Dutch children’s epic adventure of knights and chivalric exploits, De brief voor de koning by Tonke Dragt, which is a real favourite in the Netherlands. It’s been made into a film and was voted the best Dutch children’s book ever. Although some foreign publishers have shown interest, no one has picked it up for translation yet. I still have my fingers crossed! 7 Why is so little Dutch lit read in the UK you think? 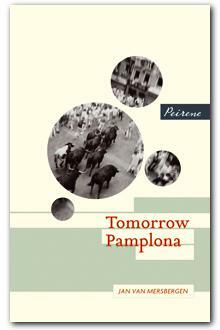 Will books like Tomorrow Pamplona help this? An interesting question. Firstly, there’s the fact that publishers in the English-speaking world are notoriously reluctant to produce books in translation. After all, there are so many authors out there already writing in English, which means that the publishers get to read the entire book before they decide to buy, as there’s no language barrier. I can see why having to go to the trouble of getting the book translated and then perhaps finding that you don’t like the book or translation would be an obstacle. Then there’s the issue of the bookshops and what they decide to stock. Some more literary texts may only be available in the larger bookshops or online. However, I am largely optimistic, perhaps because I’m attuned to the number of Dutch books published in English. More would always be welcome, of course, but there are some wonderful titles out there, such as Marieke van der Pol’s Bride Flight, translated by Colleen Higgins, or The Twin by Gerbrand Bakker, translated by David Colmer, which won the 2010 IMPAC Dublin Literary Award. Even Dutch classics are getting a look in, such as Louis Couperus’s 1889 novel Eline Vere, translated recently by Ina Rilke. So I think there’s quite a lot of Dutch literature out there in English. It’s just a question of hunting it down! I certainly hope that Tomorrow Pamplona will play a part in helping to bring more Dutch literature to English-speaking readers. 8 What do you say to readers that are nervous of translations? I know that a lot of people aren’t keen on reading books in translation, but I’d say that if you’ve had a bad experience in the past, maybe it’s time to give it another go, as there’s so much high-quality translated literature available now from all over the world. You could start by choosing a book that’s set in a location you know well and focusing first on the place and the atmosphere – if it’s a good read, the writing and the characters should draw you in before long. Colin Channer is a Jamaican writer considered as Bob Marley with a pen ,he has written a number of Novel and edited this collection ,the Calabash writers workshop ,it is a project to help promote writing in the Caribbean ,they also hold a number of festivals to celebrate the writing from the region and from africa ,they also supported budding writers ,such as some in this collection . The collection covers the Caribbean ,also some set in new york in the ex pat community ,the two stories that touch me ,were the last a longer story called Marley’s ghost ,now any book from Jamaica with a collection of stories is bound to have at least one mention of the most well-known person from Jamaica ,so in this story we find a man on the edge of death with Marley’s exodus album playing ,as he lays there he tries to compare his own life to that of the huge star as he is doing so he seems to get some peace as he sees parallels in there ,they both have cancer and other similarities come together .This gives him some peace this story was written by Kwame Dawes ,he grew up in Jamaica and is also an actor and poet and is currently at south Carolina university. the second is Sharon leach ,a story of a hotel worker that gets tempted to the dark side after an offer to spend the night with a rich couple from texas .Now at first she is very nervous and worried about how she will be seen ,but after wards she says that was easy ,this is maybe a cautionary tale of what happens when you are faced with temptation of easy money .A clever tale by a new writer . “Ah , my brown sugar “.Peters voice cuts into my thought like a blade striking wood ,startling me so that I jump guiltly.Peter and his blond wife are a couple from texas ,in the fairway lands of cowboys and John Wayne .Today I am on housekeeping duty ,which is why I am in their room . 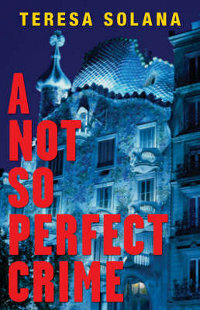 A girl in a hotel gets drawn to the darker side of holiday life in a story by Sharon Leach . Have you read much Caribbean fiction ?